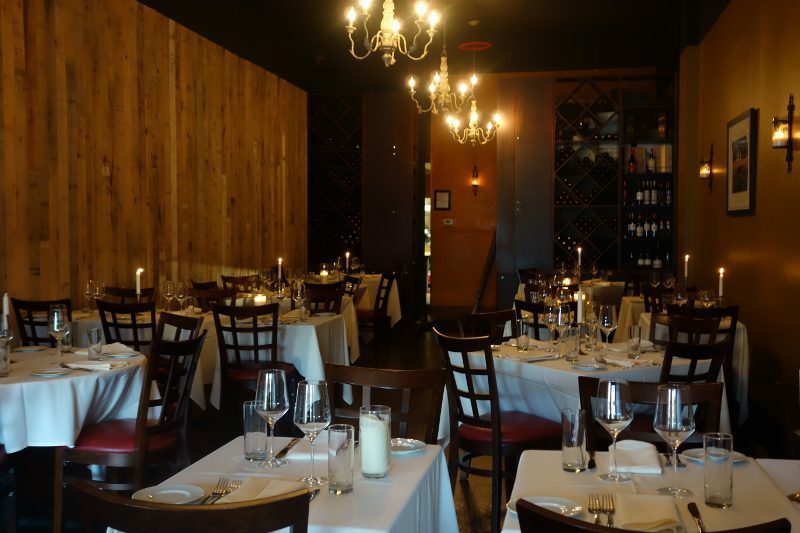 Driving down San Vicente Blvd in Brentwood, you might think that you were in a “Little Italy” of sorts. I counted at least ten Italian Restaurants on San Vicente, plus more on just north on Sunset Blvd. 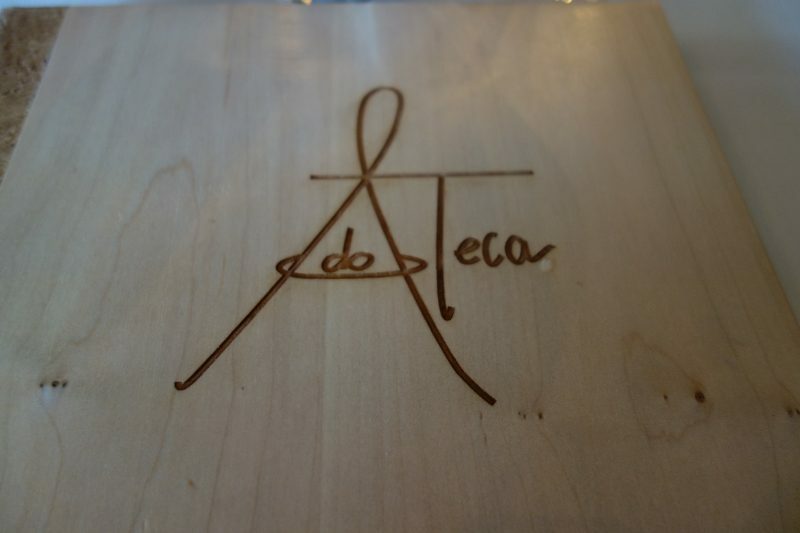 The newest of these restaurants, Adoteca, opened last December. 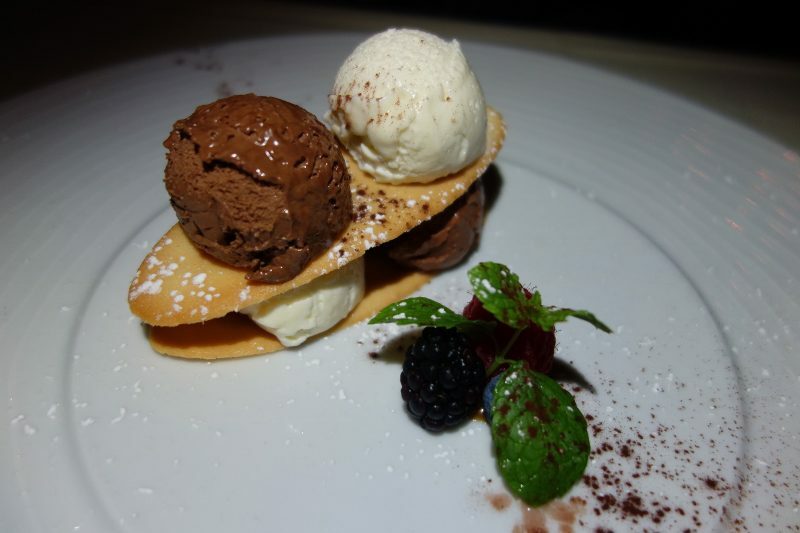 Adoteca, owned by Chef Antonio Murè, who also owns Ado and Casa Ado in Marina del Rey, and Front of House Paolo Cesaro, is an intimate restaurant with a warm and welcoming vibe. As the natural light of the day disappeared, the restaurant was illuminated by candlelight. 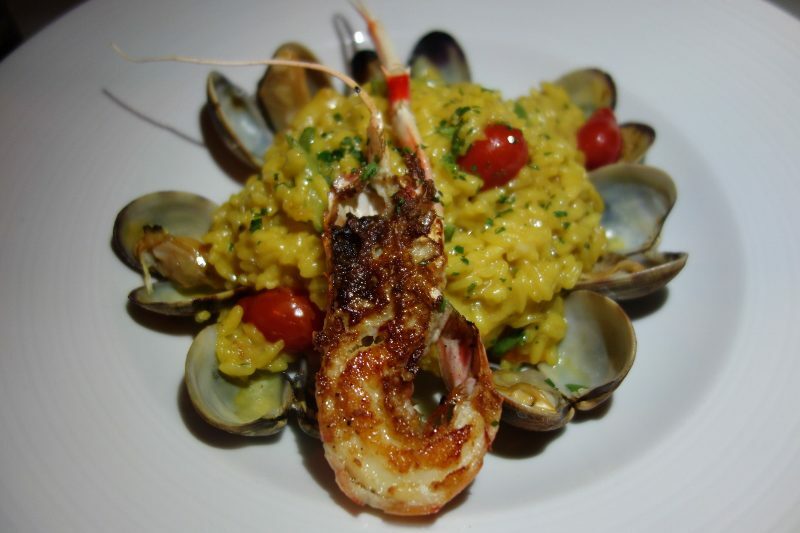 Born is Sicily and raised in Parma, Emilia-Romagna, Chef Murè blends to cuisines of the two regions to offer seasonal dishes that are creative, simple and full of flavor. and fresh lemon juice. I was told that Chef lays the sea urchin on top of the branzino and then rolls them together so that the sea urchin flavors blend in. The saltiness of the sea urchin adds a lot of flavor to the delicate fish. 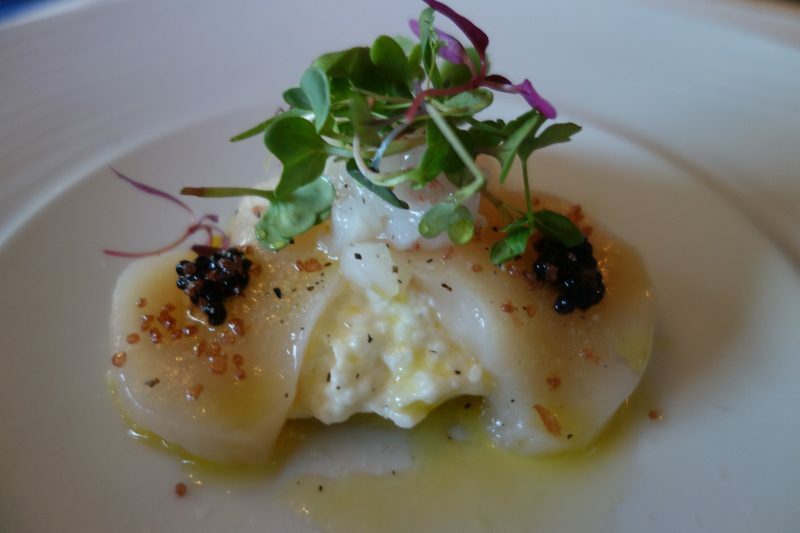 Raw sea scallops, Scampi tartar, American caviar, Burrata cheese and volcanic sea salt. Never would I have thought to pair raw sea scallops and burrata but the two work so well together, neither overwhelming the other. 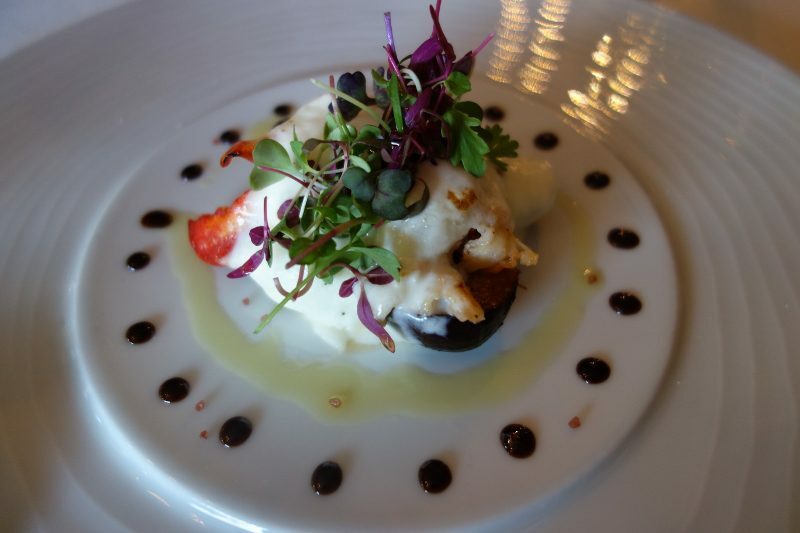 Grilled Figs with butter poached Lobster and melted Burrata cheese. What’s not to love about melted burrata on top of grilled figs? 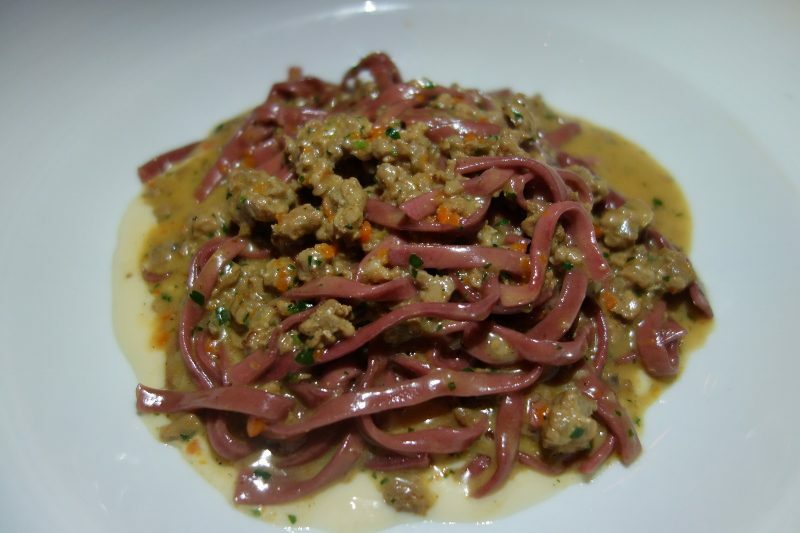 Home-made red beet Tagliolini with quail ragu’ served on a bed of Taleggio cheese fondue. Nothing beats the delicate taste of handmade pasta, which Adoteca makes fresh everyday. 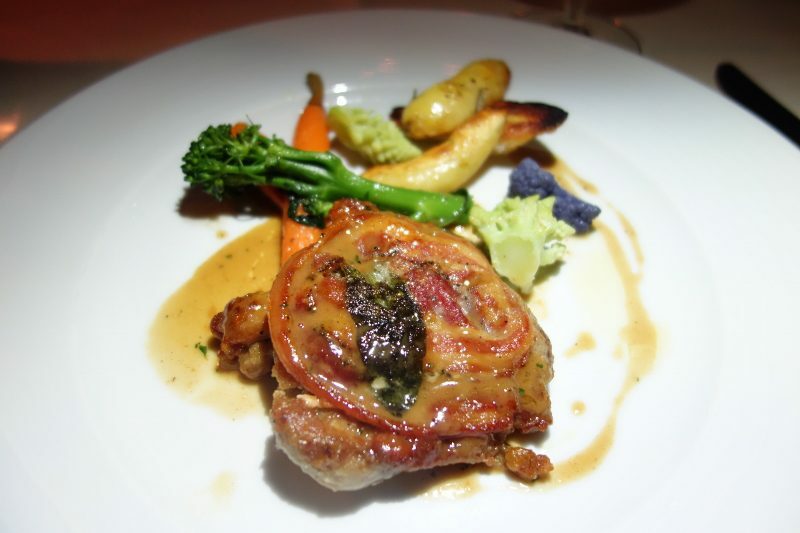 Saltimbocca Roman-style quail with Parma prosciutto and sage with a Marsala wine sauce. The crispy prosciutto adds both saltiness and texture to the tender quail. 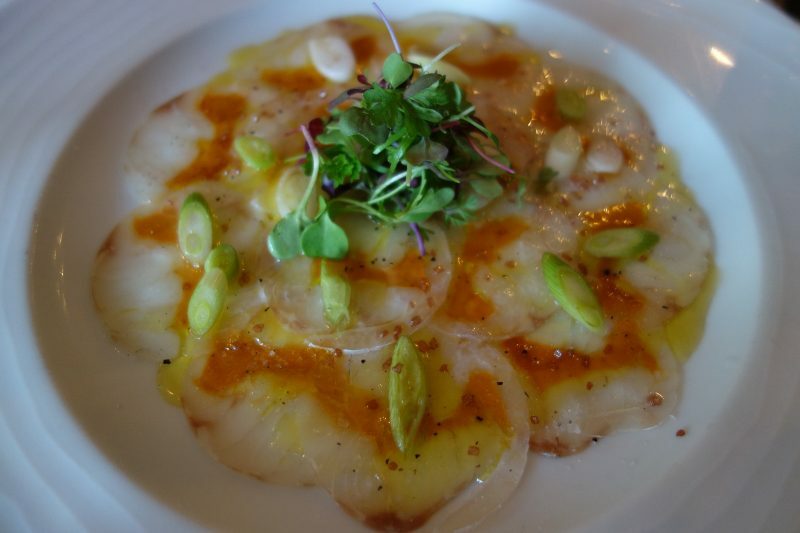 Whether looking for a power lunch location or a romantic dinner, Adoteca is the Italian restaurant that you want to find on San Vicente Blvd. 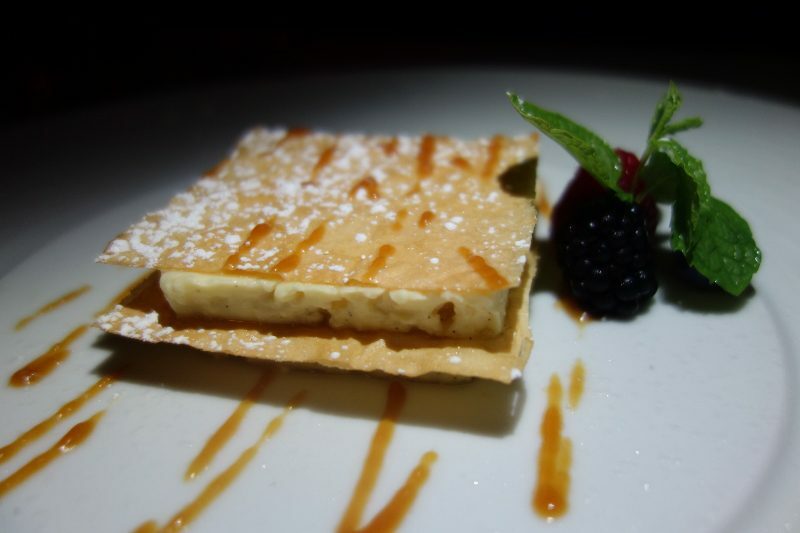 This entry was posted in Food and tagged Adoteca, Brentwood, Chef Antonio Mure, food, italian food, Italian restaurant, Paolo Cesaro, San Vicente Blvd by Allison Levine.